Book Condition: Fine - A bright tight unread signed copy. Dust Jacket Condition: Fine - Beautiful bright dust jacket with original signed cover art. Mylar cover. 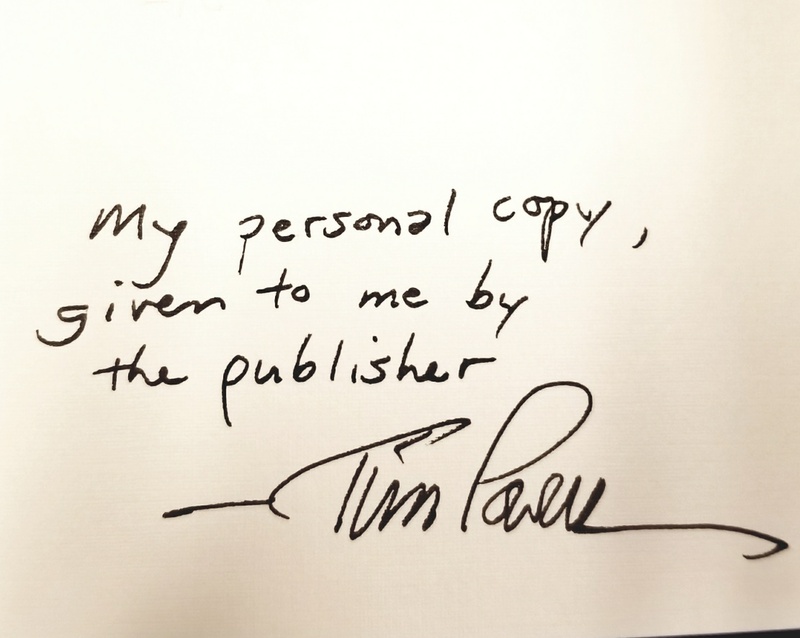 Features: AUTHOR'S COPY, inscribed on the front free endpaper, "My personal copy given to me by the publisher, [signed] Tim Powers." LIMITED, #2 of 100 cloth bound copies. 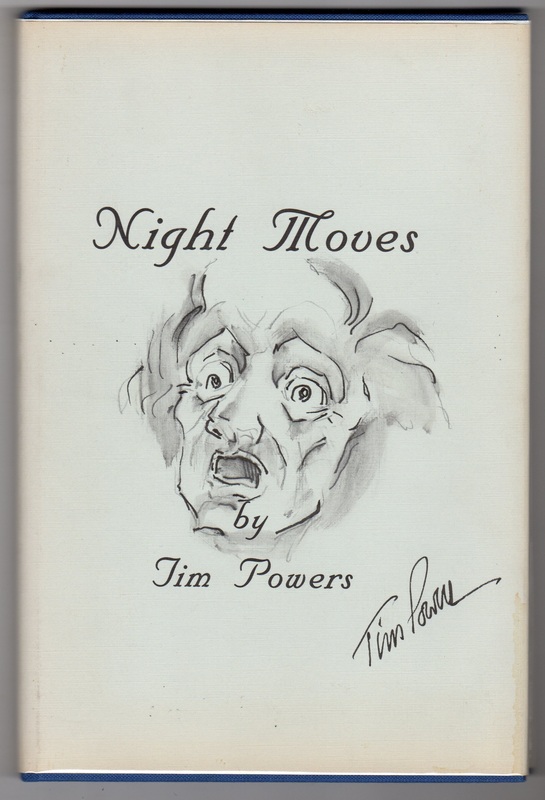 UNIQUE COPY w/ORIGINAL ART signed by the Author on the Dust Jacket front cover. 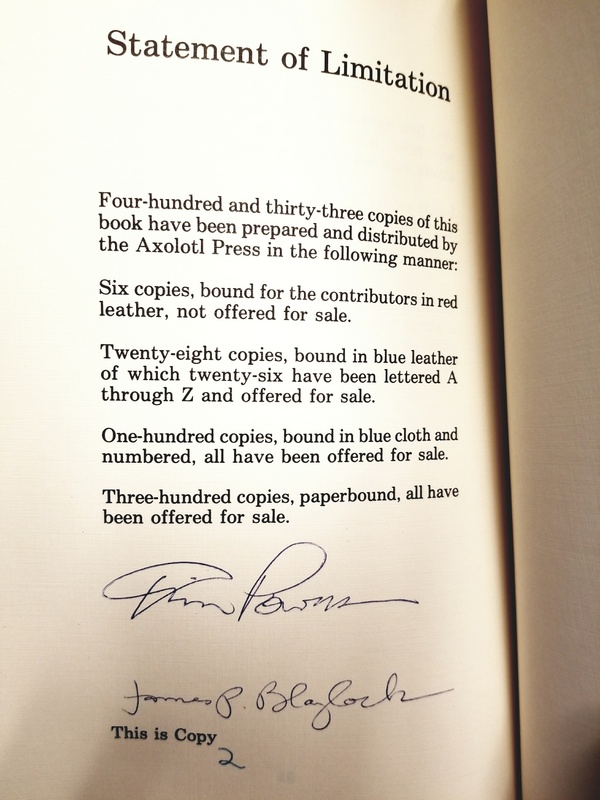 SIGNED on the limitation page by Tim Powers (Author) and James P. Blaylock (Introduction). Blue cloth binding with silver foil lettering on the cover. 40pp. Dust Jacket Illustration is an Original Detailed Drawing by Tim Powers. Private Press, Fantasy.